Delicate mauve-pink, cup-shaped flowers with reddish-brown centres from July to September. 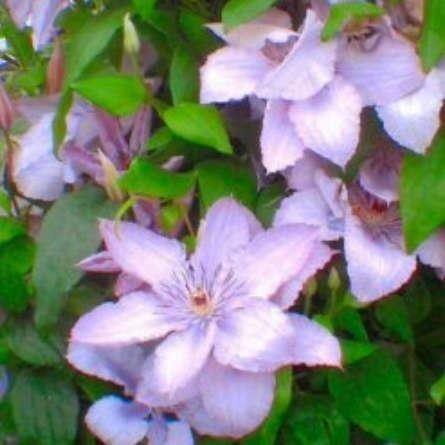 This vigorous, large flowered clematis is ideal for a north-facing site. A compact variety useful where space is limited, it is best in partial shade since the pretty flowers fade in strong sunlight.